How Many Bundles You Need While Wearing a 360 Lace Frontal? This entry was posted on December 12, 2017 by leonzhang. 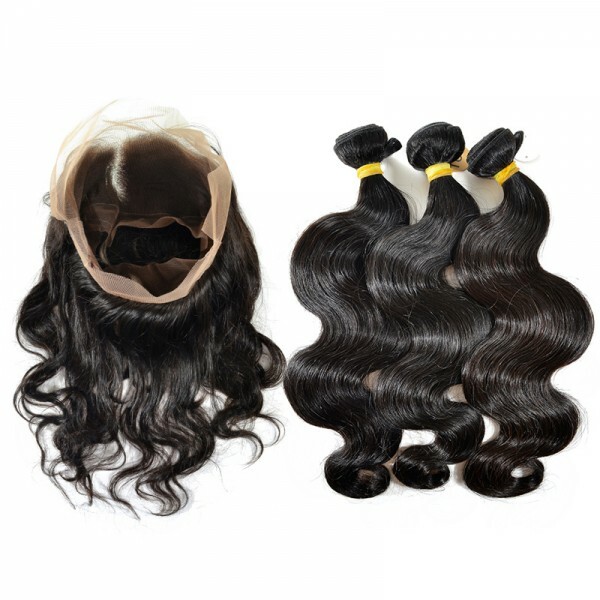 360 lace frontal is one of the most popular hair products on our site, yes, the other two best-selling hair types are always Brazilian straight and body wave hair. Why is 360 lace frontal so popular? I think it has two big advantages, first, it can protect your natural hairline, second, it offers a high degree of freedom to help you style your hair. Like its name, 360 refers to the frontal will give a 360-degree of protection to your hairline, with this frontal, do you know how many bundles you will need to buy to match it? There are three factors you need to consider before deciding how many bundles to buy with a 360 lace frontal. They are size of your head, hair length and texture. First, in the United States, the average size of women's head is 22.5", use a measuring tape to wrap it around your head from ear to ear, if your head is above the average size, you will need more human hair bundles, or you need less than others. Second, there is one rule when it comes to hair length, the longer you want your hair to be, the more bundles you will need. We always suggest you wear more bundles for a fuller look. The following chart will help you to make your decision. Third, hair texture. Wavy or tight curly hair may make your hair look fuller, so you will need fewer bundles for these hair textures. 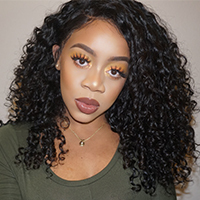 Wearing New Star curly hair, we recommend 2 or 3 bundles for a natural full look, while for straight hair, you might need more bundles to create a super full look, about 3 to 4 bundles. This entry was posted in How to Buy on December 12, 2017 by leonzhang.